The following terms and conditions constitute a legally binding agreement and cover all use of all websites, software, mail communication, emails, and phone conversations (the “Products”) provided by BeautySomething.com. By using any of the Products, you represent that you fully understand and agree to all terms and conditions listed herein. You may not use any of the Products without agreeing to these terms and conditions. We reserve the right, at our sole discretion, to amend these terms and conditions at any time without notice. You may find the latest version of these terms and conditions at http://BeautySomething.com/terms/. It is your responsibility to remain familiar with the posted terms and conditions at the time you use the Products. The Products include necessary advertisements and communication from BeautySomething.com and its affiliates. The Products are provided “AS-IS” and BeautySomething.com assumes no responsibility for use or misuse of the Products. You are completely responsible for the actions you take while using the Products. 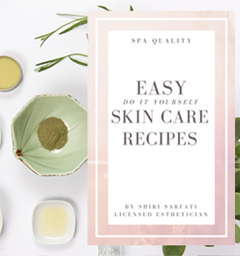 BeautySomething.com assumes no responsibility for any action taken by you or anyone following the advice or using the information provided by the Products. You are responsibile for acquiring the hardware and software necessary to use the Products and any and all fees associated with acquiring the necessary hardware and software. You agree that any use of the Products are done in accordance with all applicable laws. All software and information contained in the software and websites are copyright BeautySomething.com unless otherwise stated. You obtain no rights to reuse any information or graphics provided. You agree to indemnify and hold BeautySomething.com and its affiliates, partners, employees, and owners harmless from any and all claims or demands whatsoever that arise from your use of the Products. Any and all correspondence you hold with the companies that advertise through the Products are solely between you and the advertiser. YOUR ACCESS TO ANY PRODUCT, INCLUDING SOFTWARE APPLICATIONS AND WEBSITES, PROVIDED BY BeautySomething.com IS AT YOUR OWN OPTION, DISCRETION, AND RISK. ABeautySomething.com IS NOT LIABLE FOR ANY LOSSES INCURRED BY YOU WHILE USING THE PRODUCTS. UNDER NO CIRCUMSTANCES, INCLUDING, BUT NOT LIMITED TO, NEGLIGENCE, SHALL WE BE LIABLE FOR ANY DIRECT, INDIRECT, INCIDENTAL, SPECIAL, OR CONSEQUENTIAL DAMAGES THAT RESULT FROM THE USE OF, OR THE INABILITY TO USE, ANY BeautySomething.com SITE OR MATERIALS OR FUNCTIONS ON ANY SUCH SITE, EVEN IF WE HAVE BEEN ADVISED OF THE POSSIBILITY OF SUCH DAMAGES. THE PRODUCTS ARE PROVIDED “AS-IS”, WITHOUT WARRANTY OF ANY KIND, EITHER EXPRESSED OR IMPLIED, INCLUDING BUT NOT LIMITED TO, IMPLIED WARRANTIES OF MERCHANTIABILITY, SATISFACTORY QUALITY, FITNESS FOR A PARTICULAR PURPOSE, OR NON-INFRINGEMENT. BeautySomething.com DOES NOT WARRANT THAT ANY PRODUCTS MEET YOUR NEEDS OR ARE ERROR-FREE. ALL RISKS ASSOCIATED WITH THE USE OF THE PRODUCTS LIES WITH YOU. BEAUTY SOMETHING’S MAXIMUM LIABILITY TO YOU OR ANY THIRD PARTY ARISING OUT OF THIS AGREEMENT OR YOUR USE OF THE PRODUCTS WHETHER FOR BREACH OF CONTRACT OR IN TORT, WILL BE LIMITED TO THE AMOUNT, IF ANY, YOU PAID TO ACCESS THE PRODUCTS OR $100, WHICHEVER IS LESS. BeautySomething.com WILL NOT BE HELD LIABLE FOR ANY DAMAGE TO YOUR COMPUTER EQUIPMENT OR FILE SYSTEM RESULTING FROM THE USE OF THE PRODUCTS.